New villa for sale in Basilicata – Nova Siri. This one-off, architect designed family villa of 140 smq., plus a large terrace (12 smq), will be constructed by local craftsmen, using traditional materials and techniques.The interior will be finished to your own specification.There is also an 40 sqm. garage and a garden. Set in one of the most panoramic locations in the quiet farming area of Nova Siri, the villa has splendid views of the mountains, the sea and Rocca Imperiale – a 12th Century castle. Beaches are a 15minute drive away. Ground floor: Hall/reception, kitchen/diner leading onto a covered patio area, bathroom and a large bedroom. First Floor – two further double bedrooms, bathroom and living area leading to an outside terrace (12 smq) with wonderful views. 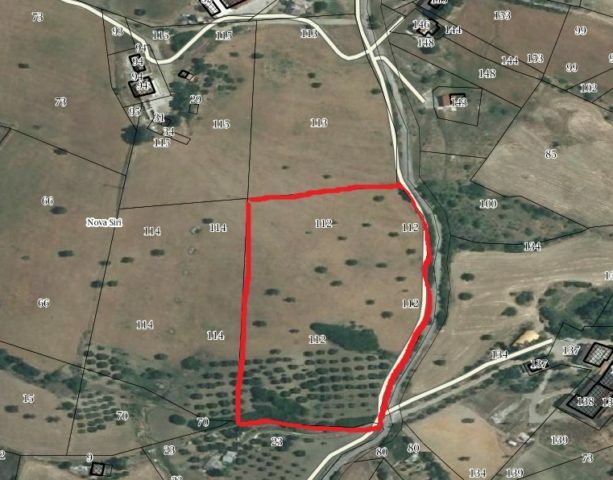 The property is set back from the road, approached by a private drive through your own olive grove of approx 100 trees. The house will be constructed in sympathy with local building traditions including inserts in local stone, antique-style white plaster and wooden shutters and fixtures. Nestled into the hillside, the property is set within its own grounds of 1.7 ha and has stunning views over the surrounding valley, the coastline of the Bay of Taranto and across to the Pollino mountains. The house will be connected to mains water and electricity, and there will be an LPG heating system. The area has good mobile phone reception for telephone and 3G internet. Renewable energy sources such as solar panels can be available on request. The villa will have a reinforced concrete structure, due to seismic regulations. Perimeteral walls can be built using “stone” to give the property the rustic look. The furnishing and finishes will be personalised to your specification. The ceilings will have wooden beams and cotto bricks. The floorings will be in cotto, bricks or parquet. Fixtures will include wooden shutters. All relevant building permits and permissions are in place. The property is being sold by a private owner. 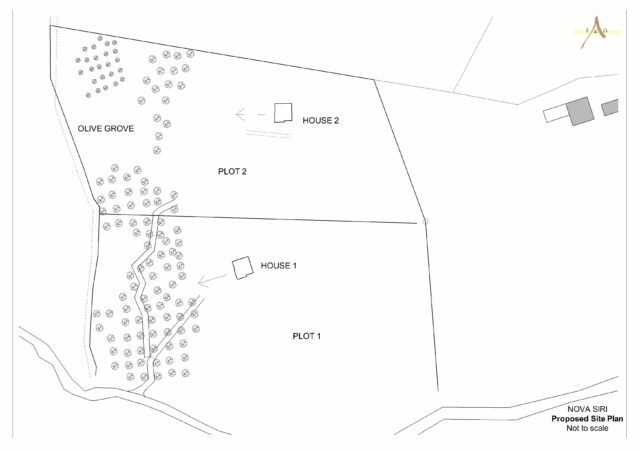 The purchase will be the land “as is” including the granted planning permission. It is also possible to agree for a “turn key” project, asking for a variation of the orginal project/design, with an initial deposit followed by staged payments during the progress of the works. L&G Properties Srls will build the house using local craftsmen and will issue the regular sureties when receiving each payment. Nova Siri paese is a small charming town with a lovely historic centre, bars, restaurant and 2 minimarkets. The coastal resort of Nova Siri Marina is 10 minutes away and has banks, supermarkets, a wide choice of restaurants and other amenities. Located on the edge of the Pollino National Park, the UNESCO World Heritage city of Matera is an hour away. With easy access to the SS106 dual carriageway, Bari and Brindisi airports are less than two hours away.